Shawna L. Hawk, D.D.S., P.C. Welcome to our Family & Cosmetic Dentistry in Washington, D.C.
At the practice of Dr. Shawna Hawk, we provide comprehensive dental care for the entire family. Our conscientious and compassionate approach to dentistry is focused on patient comfort and optimal oral health. Our team of dental professionals utilize the latest in dental technology and are here to assist in creating lasting, healthy smiles. 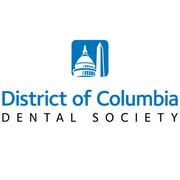 For more information, or to schedule an appointment, contact our Washington, D.C. dentist today! When you visit our office, you will experience the benefits of the latest in general, restorative, and cosmetic dental services. Dr. Shawna Hawk provides caring, gentle dentistry in a relaxing environment. We understand that many patients fear visiting the dentist. Our goal is to ensure your oral health, treat your dental concerns, and assist you in achieving the smile you desire. Our team assists patients in learning more about their oral health, takes the time to explain treatments thoroughly, and answers any questions you may have, so you can make informed decisions. Your family’s oral health is our top priority. For more information or to schedule an appointment, contact our dental practice today. 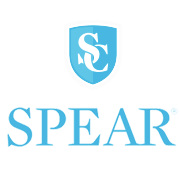 We are conveniently located in Spring Valley and provide dental treatments for families in surrounding areas. Dr. Shawna Hawk has been a practicing dentist for 27 years in the D.C. metropolitan area. She received her undergraduate degree from the University of Pittsburgh, School of Dental Hygiene, and then began her dental career as a Registered Dental Hygienist. After deciding that she wanted to further her career as a dentist, she obtained her doctorate from Georgetown's School of Dentistry in 1990. Dr. Hawk and her staff are the best! From the receptionist to the dental hygienists to Dr. Hawk, they are always kind, caring, friendly, and highly skilled professionals. There is almost no turnover in her hygienists, which says a lot about how she treats them and their high level of professionalism. I have been a patient of Dr. Hawk for well over ten years and have never had any problems with anyone in her office. The hygienists are thorough and gentle in their inspections and cleaning of my teeth, and Dr. hawk is likewise thorough and gentle. She has never recommended a procedure that wasn’t needed and a perfectionist in all her work. I highly recommend Dr. Hawk and her staff. I’ve been going to Dr. Hawk for years, always a good experience. Along with teeth cleaning twice a year, she’s also done two crowns for me and fit me for a mouth guard. The staff is always friendly and makes me feel very comfortable. I would highly recommend her practice to anyone who asks. My wife and I have seen Shawna and her outstanding staff form any years. They are a real team, totally professional and warm, highly competent, always focusing on patient care as #1. 5 STARS in all regards !!! Dr. Hawk has been our family dentist for over a decade and is superb. Very caring and thorough in every aspect of the profession... and she manages to keep track of us as individuals, not just patients. VERY HIGHLY RECOMMENDED! Helen and Shawna never fail to make me feel that my teeth have gotten the closest attention possible. That cleanest-teeth-ever feeling that I walk out of the office with is wonderful!